Check Out the New Poetry Nation! We would like to extend a warm welcome to everyone who has joined the “new” Poetry Nation. It’s been a true pleasure reading your bios, poems, and stories. 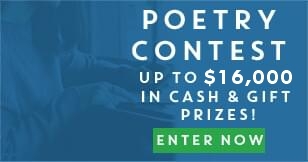 But if you haven’t joined yet or entered the contest and you enjoy poetry, then join Poetry Nation today! Our new site spent seven months in the making. That’s right–seven months spent creating, writing, planning, brainstorming, sketching, mapping, debating, testing, and so on . . . you get the picture. Our goal was to create a site that appealed to every type of poet and had something to offer everyone. We offer competition, education, publication, socialization, creation, and much more; therefore, be sure to let us know how well we’ve covered our bases! So far we’ve received rave reviews from new users, and we can’t wait to bring back all of our existing users, whose patience throughout this process is most appreciated. We promise we’ve made it worth the wait! Very soon an email will be sent out to every member who created a profile prior to September 10, 2017 with a link to verify their account. We guarantee these poets will be ecstatic once they see everything they can do on the new site. Members can now edit and delete poems, include a story to go along with a poem, upload a picture to complement a poem, upload a YouTube video of a poet reciting a poem, and partake in some friendly online competition. And the more you participate on the site, the more you will be rewarded. Be a top “rater” and see your poem on the front page for ALL to see! Connect your profile to your Facebook account to share your poet status with friends and fellow poets. So spread the word to anyone you know who likes to read or write poetry. Tell them to join Poetry Nation today! Let them know Poetry Nation is THE place to be online and it’s completely FREE! This entry was posted on Wednesday, September 27th, 2017 at 9:51 pm. Both comments and pings are currently closed.